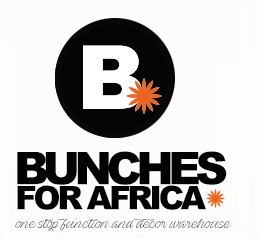 Bunches for Africa (Western Cape) (Pty) Ltd was formed in 2001 by Jaco & Cindy Fischer. Jaco has a wealth of experience in the industry, which he accumulated in Gauteng whilst he was a co-owner of a similar venture. During a holiday in Cape Town they recognised the need for this type of service and after careful consideration sold their interest in the Gauteng business and with a few boxes loaded on a delivery truck and trailer, moved to Northern Suburbs of Cape Town. 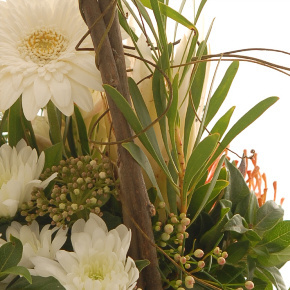 With the goal to supply the best quality and largest variety of fresh cut flowers and associated products in the Western Cape they commenced business in a shopping centre in Brackenfell. We soon outgrew the shop and developed a 1300 square meter warehouse also in Brackenfell, which till today still houses our operations. 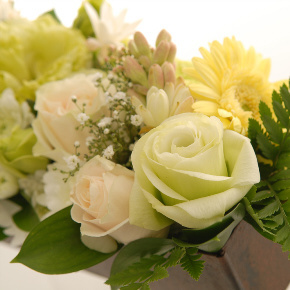 Most of our flowers are sourced directly from farmers all over South Africa with the flowers from further away delivered by air. Where ever possible we support the local flower growers. This approach enables us to receive fresh flowers twice daily, ensuring that our clients have access to the freshest products. 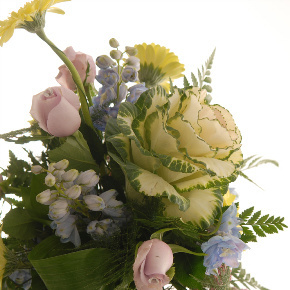 Our clientele consist of flower wholesalers, supermarkets, florists and the public.